Brazil’s government anticipates that companies seeking to join in deep-water oil projects would need to pay Petrobras more than $9 billion, said the people, who asked not to be named because the information hasn’t been made public. That will add to about $9 billion the state would be willing to pay Petrobras from its own coffers, according to the people. Petrobras shares rose as much as 2.6 percent in Sao Paulo to 29.50 reais, the highest since August 2010. Brazil and Petroleo Brasileiro SA plan to reach an agreement by the end of this month on the government’s compensation. The state-controlled oil producer is entitled to claim cash from the government after buying rights to produce 5 billion barrels when prices were higher. As Petrobras explored the area, it found much more crude than it was entitled to in the deal, leaving the government with a surplus, while Petrobras remained the sole company allowed to operate the fields. Both sides need to resolve compensation for the original contract before auctioning part of the estimated 15 billion-barrel surplus. The administration of President Jair Bolsonaro plans to hold an auction on Oct. 28. Companies including Exxon Mobil Corp. and Royal Dutch Shell Plc have shown interest in bidding and in partnering with Petrobras, the Energy Ministry and Petrobras Chief Executive Officer Roberto Castello Branco said last week. The money from third-party bidders will compensate Petrobras specifically for investments it has already made, the people said. In the Buzios field, the largest of the transfer of rights fields that may go to auction, Petrobras has spent more than $10 billion in two production systems, one of the people said. The company has 3 billion barrels of oil reserves in Buzios; the government estimates there is at least another 3 billion, one of the people said. The prospect of bringing in foreign partners to jointly develop the fields helped to bring Petrobras closer to an agreement with the government on the compensation it should receive, the people said. After the oil company previously sought about $14 billion, the difference between what it will accept and what the government will pay has narrowed in recent days to about $500 million, with an increased chance of an agreement being reached this month, one of the people said. 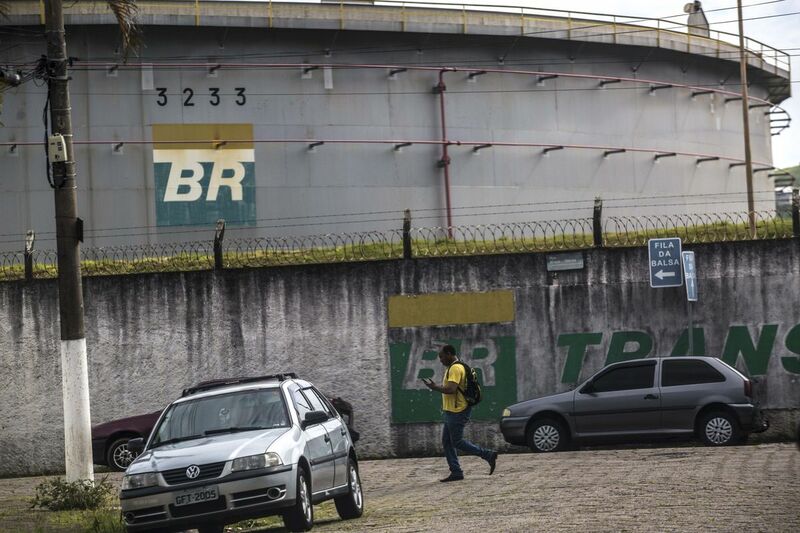 Petrobras plans to use the compensation from the government to bid for reserves in the auction, returning the funds to Brazil’s coffers, Castello Branco said last week. The compensation from potential partners isn’t expected to be paid this year, the people said.